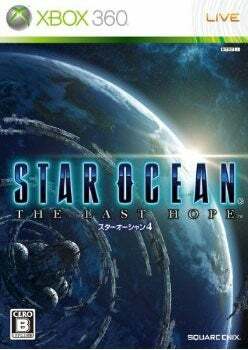 Square Enix's Star Ocean 4 helped propel the Xbox 360 to the front of the console pack in Japan, thanks to an impressive 162,000 copies sold in just one week. That's damn good. The new role-playing game knocked off last week's champ, Mario & Luigi RPG3!! !, a Nintendo DS title whose fall was cushioned by a trio of new Idolm@ster games for the PSP. Don't ever say that Namco Bandai doesn't know how to milk. The rest of the week's new debuts, including the Japanese release of Dead Rising: Chop Til You Drop and Metroid Prime for the Wii, weren't so spectacular. While a handful of new titles couldn't crack the top ten, PlayStation 3 games Street Fighter IV and Demon's Souls held strong, selling well enough to hang in there for one more week.